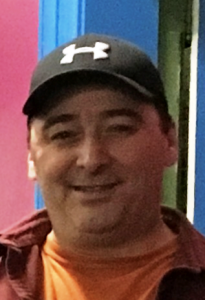 ROXBURY - Mr. Gregory S. Simmons, 47, died in Roxbury unexpectedly on Thursday, Jan. 17, 2019, as a result of injuries sustained in a snowmobile accident. ROXBURY – Mr. Gregory S. Simmons, 47, died in Roxbury unexpectedly on Thursday, Jan. 17, 2019, as a result of injuries sustained in a snowmobile accident. He was a resident of Andover. Born in Hartford, C on April 25, 1971 he was a son of William and Barbara (Grant) Simmons. Greg graduated from Telstar High School in Bethel and the Northern Maine Vocational Technical Institute. He worked for Nine Dragons Paper Mill in Rumford as a Kamyr Operator. Greg was a member of King Hiram Lodge; he enjoyed hunting, snowmobiling, fishing and spending time with family and friends. He is survived by his mother, Barbara Simmons of Andover; two daughters, Samara Richard and companion, Michael Turner, of Rumford and Isabella Simmons of Andover, two grandchildren, Jovie and Lars Turner of Rumford; his longtime companion, Kelly Martin of Rumford; a nephew, William “Buddy” Simmons of Anchorage, Alaska; and a niece, Keri Standeven of Bethel. He was predeceased by his father, William Simmons; and a brother, Billy Simmons. Funeral services will be held 1 p.m., Thursday, Jan. 24, 2019, at the Andover Congregational Church. Interment in the spring will be in Woodlawn Cemetery in Andover, Maine. Arrangements are under the direction of the MEADER & SON FUNERAL HOME, 3 Franklin St., Rumford, Maine.